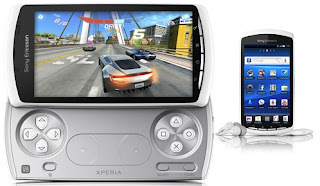 The new Sony Ericsson Xperia Play is the first Sony PlayStation gaming centric mobile phone running the latest Google Android OS .It sports a large 4-inch touchscreen display and is powered by the 1GHz Qualcomm CPU with the Adreno 205 GPU and 512 MB of RAM.It has dedicated gaming keys like the PSP and is the world’s first PlayStation certified Smartphone . Motion gaming : turn, swing, move your phone to control the action. Gesture gaming : Position yourself in front of the phone’s camera and move your body to win the game. 3D games : Enjoy quality games with full color and depth. Synchronisation – Exchange ActiveSync® – Sync Microsoft® Exchange email server. DLNA Certified : Connect wirelessly to other DLNA certified devices.